I’ve been dipping in and out of ‘Harry Potter and the Goblet of Fire’ by J.K. Rowling for months, but in the last few days I devoured the final 250-odd pages, thereby finishing my 41st book of the 2015 Reading Challenge. Again, it didn’t fit into a predefined category, so it was my chance to get creative and develop #58 A book with a mythical creature on the cover – ‘Harry Potter’ has a Hungarian Horntail plastered on the front. Check. 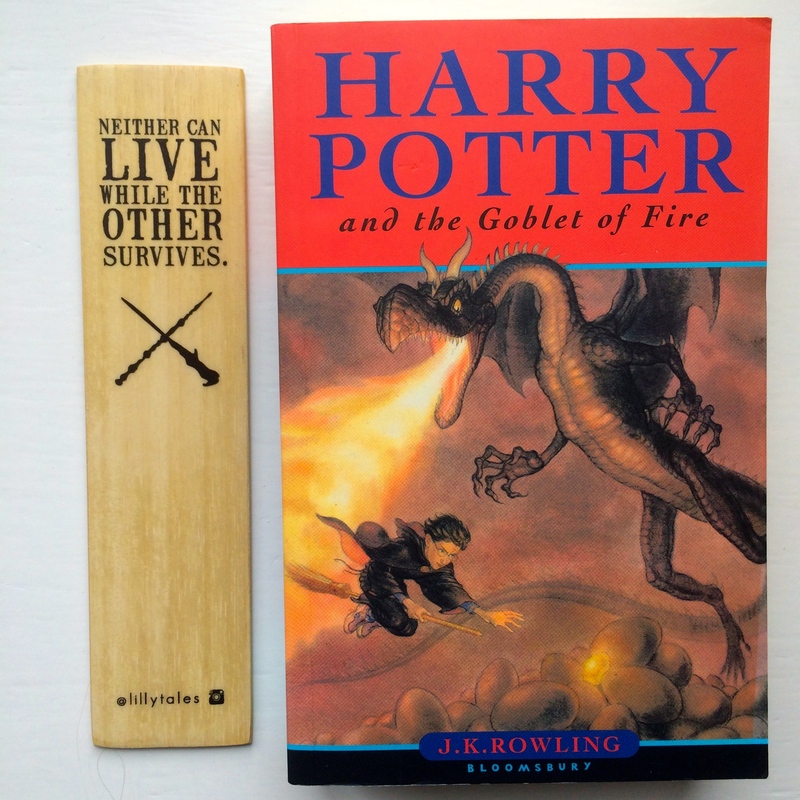 “The fourth book in the ‘Harry Potter’ series by J.K. Rowling, ‘Harry Potter and the Goblet of Fire’ is undoubtedly where the series takes a darker turn. It is hugely different from its predecessors, not least because it is more than double the length of any of the previous three, but evil forces come into play like never before. This installment follows Harry and his friends fourth year at Hogwarts School of Witchcraft and Wizardry, a year like no other – The Triwizard Tournament is taking place. Filled with dangerous, life-threatening tasks even well-equipped wizards would struggle to accomplish, Harry somehow finds himself immersed in the danger, tackling dragons, merpeople and even darker forces. The culmination of this book is astounding. When I first read this book (approximately 12/13 years ago) I was blown away with the sheer amount of action and adventure, but re-reading it upon the completion of the series is another experience entirely – it is astonishing the hints and clues J.K. Rowling mischievously placed on the page (most notably Lord Voldemort’s own admission of his creating Horcruxes, before we’ve even heard of them and what they do). My mind is blown. Until last year I always quoted ‘Harry Potter and the Goblet of Fire’ as being my favourite novel of the series, but when I re-read ‘Harry Potter and the Prisoner of Azkaban’ last year, I found myself questioning my allegiance. That was, until I re-read this novel – it’s just so hard to choose, they’re all just outstanding! I truly believe that ‘Harry Potter’ is one of the most wonderful literary creations the world has ever seen, and I know that I will forever be a Potterhead.